A collaborative project between Transport for London (TfL) and London South Bank University (LSBU)’s Centre of Air-Conditioning and Refrigeration Research has won the 'Collaboration of the Year' award at the 2016 H&V News Awards, an industry-leading building services engineering awards ceremony. 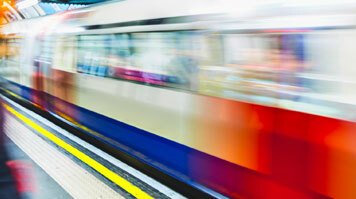 LSBU's School of The Built Environment and Architecture has been working with TfL since 2001 on a number of projects exploring how underground Tube stations can be kept cool in a cost-effective and environmentally friendly way. The award-winning project comprised the design and trial of a new air handling unit for London Underground platforms, which used an innovative fan chiller system to pump cold air into the station and improve the experience and comfort of passengers. The H&V News Awards are an annual celebration of excellence, forward thinking and the highest achievements in the entire heating, ventilation, air conditioning and building services sectors. Following a successful nomination in the awards, Transport for London and LSBU gave a presentation on their collaboration to the category judging team, ahead of the announcement of the winners at an awards ceremony. Find out more about LSBU’s highly-applied research in the School of The Built Environment and Architecture.